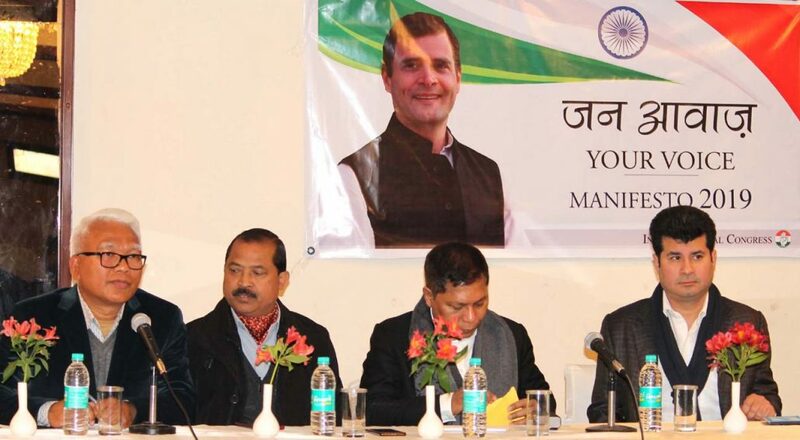 The Meghalaya Congress held consultation with stakeholders on various issues as it prepared to come up with its manifesto for the upcoming Lok Sabha elections. Leader of Opposition, Dr Mukul Sangma, Lok Sabha MP from Shillong Vincent H. Pala, Meghalaya PCC president Celestine Lyngdoh and AICC secretary in-charge of research department Ranajit Mukherjee and few MLAs attended the meeting. Suggestions were given on various issues concerning Meghalaya and the Northeast in general and laws to be made by Parliament should not be done without understanding the complexity and without taking into consideration the issues pertaining to the indigenous communities of the Northeast. “Many in-depth discussions have happened and we have been enriched by this consultation in addition to various pending contentious issues which need to be resolved,” said former Meghalaya chief minister Dr Mukul Sangma. He said this exercise (consultation) would complete most probably in February before compiling the final manifesto for the upcoming Lok Sabha elections. Sangma informed that suggestions have emerged that if Congress is given the mandate in the upcoming elections, the Citizenship (Amendment) Bill would be scrapped and the party would give due importance to the true spirit of federal system. “In 2013 too, we had the party manifesto and we have done auditing of our own manifesto in respect of what we have promised and how far we have achieved and could implement them,” he said. “We drew the attention of the government and the chief minister but next day he gave a statement that there was no illegal mining. Now, he is lying before the people of the state and the nation,” said Mukul Sangma. “They lie before and after elections. I do not know if they have opened a good school to learn the art of lying. But the Congress has a system and we don’t lie,” Mukul said.